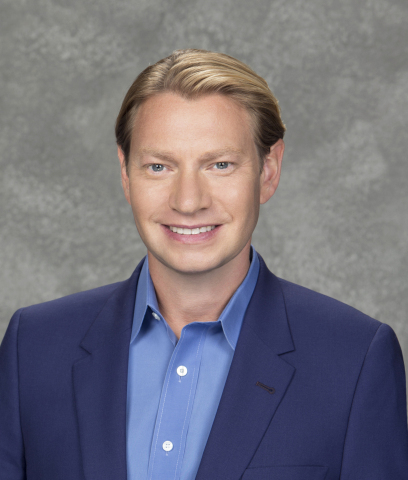 Fan-fueled entertainment network Pop, a joint venture of CBS and Lionsgate, announced today that it has named Justin Rosenblatt to be its Executive Vice President of Original Programming and Development. Rosenblatt, who currently serves as Senior Vice President, Alternative Programming at CW Network and previously held senior programming posts at MTV Networks, will join Pop starting in September, reporting to its President Brad Schwartz. The appointment of Rosenblatt comes on the heels of Pop's successful rebrand in 2015 and its expansion in scripted and unscripted television across multiple genres and formats. With over 400 hours of original programming in 2016, Pop's slate includes the critically acclaimed comedy "Schitt's Creek" which was picked up for season three, the scripted comedy series "Nightcap" produced by Lionsgate Television, and the a cappella docu-series "Sing It On," which premieres its second season this week. Rosenblatt will succeed Paul Adler, Pop's current Senior Vice President, Original Programming and Development, who announced his decision to leave following a 16-year tenure and the completion of the network's rebrand. Adler will continue to serve as a consulting producer at Pop for select projects. "Justin is the perfect executive to build upon our network's rapid growth with bold new original programming that breaks through the clutter and resonates with passionate fans and younger, socially-engaged viewers," said Schwartz. "His experience from The CW and MTV Networks in both scripted and unscripted programming is exactly what we need for the next phase of our evolution. "He will join Pop at an optimal time, taking over the reins from Paul, who has had a remarkable run at the network and has been a great leader and contributor to our successes," Schwartz continued. "Pop has done an extraordinary job rebranding itself and is well-positioned as one of the fastest growing networks, supported by two industry leading parent companies, CBS and Lionsgate," said Rosenblatt. "I'm fired up to be part of Pop's evolution and creating the next generation of brand-defining content for the network." In Rosenblatt's current role as Senior Vice President of Alternative Programming at The CW, he oversees all elements of development and current programming, including the re-imagination of the iconic television show, "Whose Line Is It Anyway" and the upcoming re-launch of "MADtv." During his nine-year tenure at The CW, Rosenblatt has steered multiple network hits, including "America's Next Top Model," which became a brand-defining show for The CW and helped launch the network in 2006. He also oversaw "Penn & Teller: Fool Us" and "Masters of Illusion." Prior to joining The CW, Rosenblatt served as Senior Director of Series Development and Programming for MTV2. In this role, he oversaw "Celebrity Death Match," "Wildboyz," "Final Fu" and numerous opportunistic programming stunts and specials. Earlier in his career, Rosenblatt executive produced the successful telefilm, "Celeste In The City" for ABC Family. He began his career working in motion picture development for Neal Moritz & Steve Golin and served various roles in physical production. Based in Los Angeles, Rosenblatt is a graduate of Occidental College. Fans don't sit at the outskirts of pop culture making snarky comments. They live right smack in the middle of it, sharing, creating, and connecting their passions with others. At Pop, fans finally have a destination that celebrates the fun of being a fan. Fans aren't even fans anymore — they're gladiators, tributes, human beings and blockheads. Seen in more than 80 million homes, Pop gives fans a dedicated channel that loves being a fan as much as they do. A channel that respects talent over celebrity. A channel filled with optimism, passion, humor, and excitement. A channel that understands the fun doesn't stop when the credits roll… it's really just the beginning. Pop is a joint venture of CBS Corporation (NYSE: CBS.A and CBS) and Lionsgate (NYSE: LGF). The partnership combines CBS's programming, production and marketing assets with Lionsgate's resources in motion pictures, television and digitally delivered content. Pop's ownership structure is comprised of the company with the #1 broadcast network and many of the top first-run syndication series ("Entertainment Tonight," "The Insider") and the studio that produces and distributes the blockbuster "Hunger Games," "Twilight" and "Divergent" franchises and produces such award-winning TV series as "Mad Men" and "Orange is the New Black."